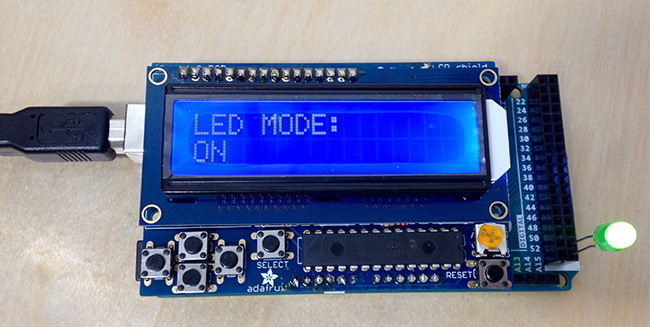 A tutorial on installing and using the Arduino LCD display shield kit. 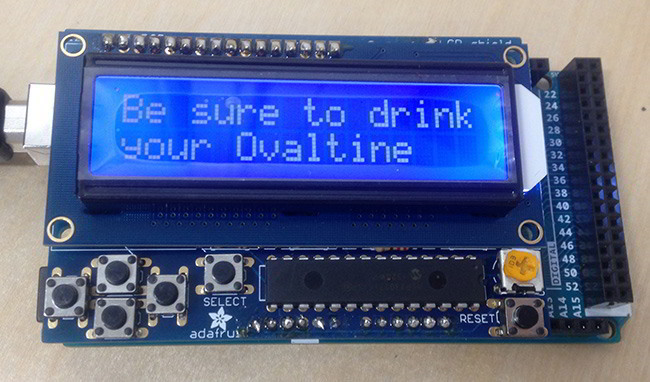 I recently picked up an Arduino LCD shield kit from Adafruit. I’ve wanted to play around with some LCD screens and since this was a self contained kit for $20, I thought I’d try it out. Here’s my thoughts on it. 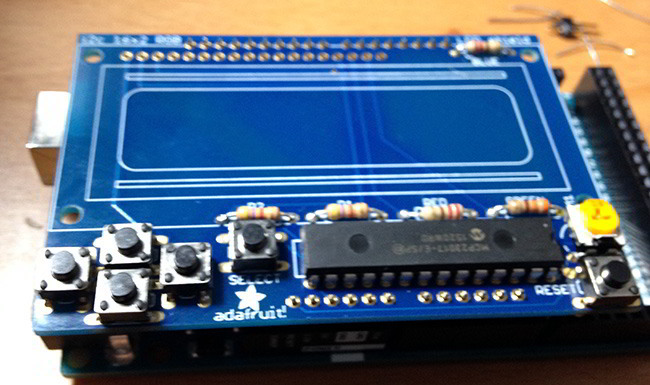 For this article I’m using an Arduino Mega 2560, obtained from Newark Element 14. It’s definitely a “turnkey” kit that comes with everything you need. The full assembly instructions show you how to build it, step by step. Bust Out Your Soldering Iron! 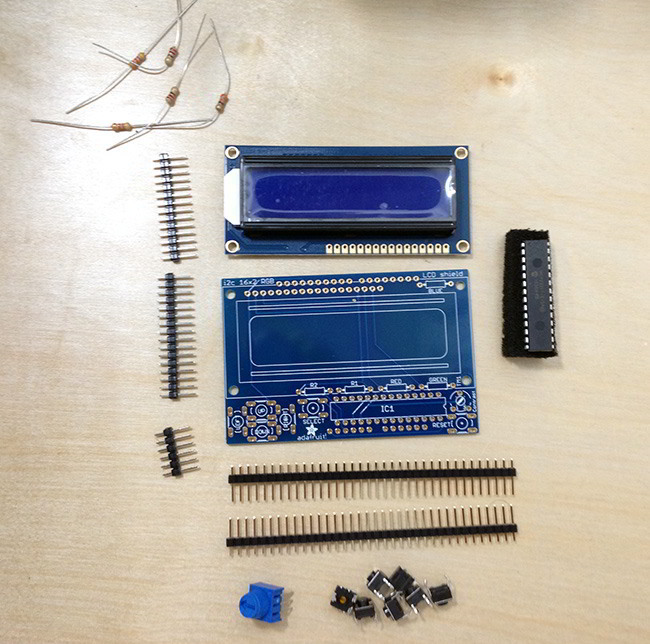 For this kit you will need to do a considerable amount of soldering. Some folks aren’t a fan of this idea, but I love it. This is great for beginners so they can learn soldering techniques and get better at it. 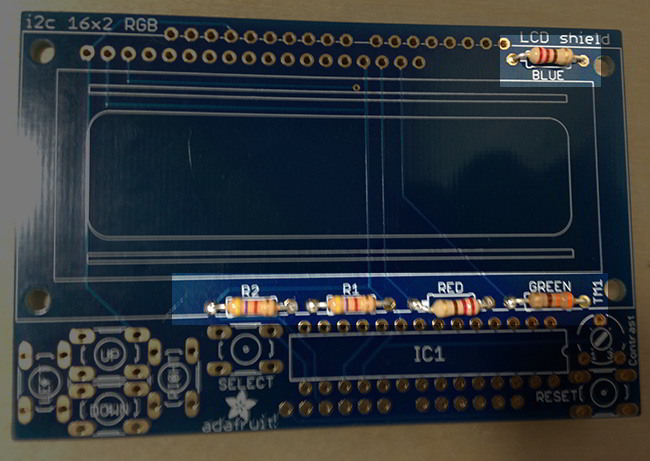 Even though this is a complete kit that could be easily shipped soldered and assembled, I think that would be cheating beginners out of the experience of assembly. Not to mention it frees you up to use only the parts you need, or even use them in something else. You’re a hacker now, embrace it! 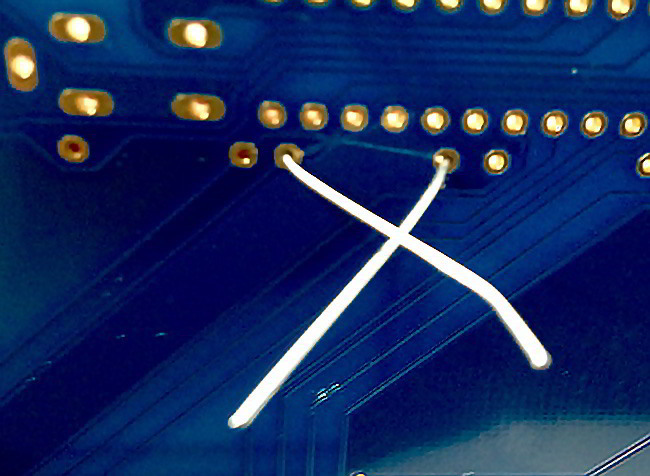 An easy way to do this is pull the resistors down through the holes and cross the wires like so. Then once they are all through, solder each piece and trim off the ends. Next, add the buttons. You’ll have to be careful with these pins as they are very close together. 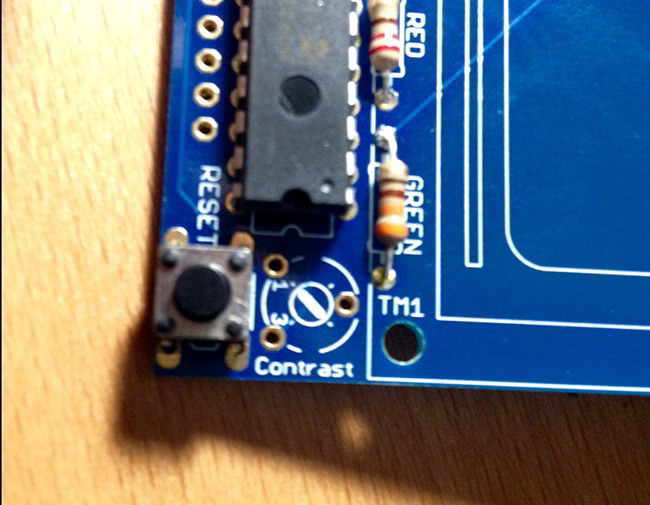 You can now place the board on the Arduino so the pins match up. 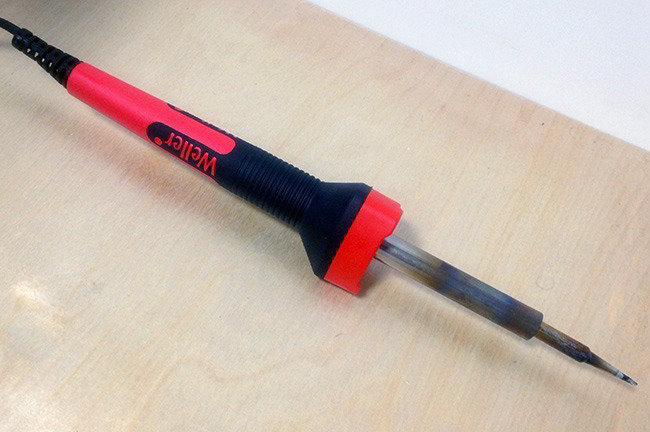 Now you can solder the pins in. 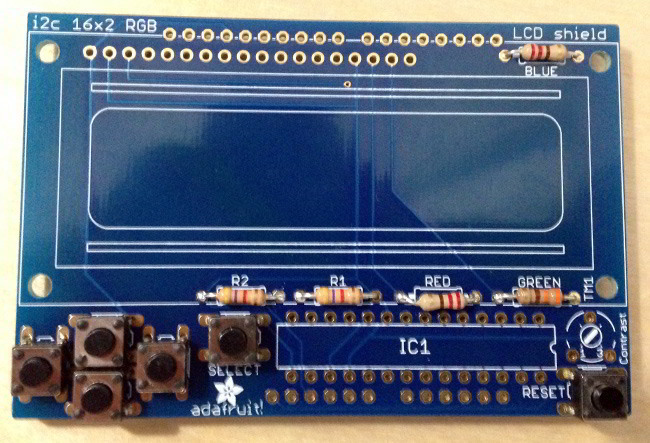 This gives you an interface to your Arduino, but mostly it’s just to keep the sheild stable. 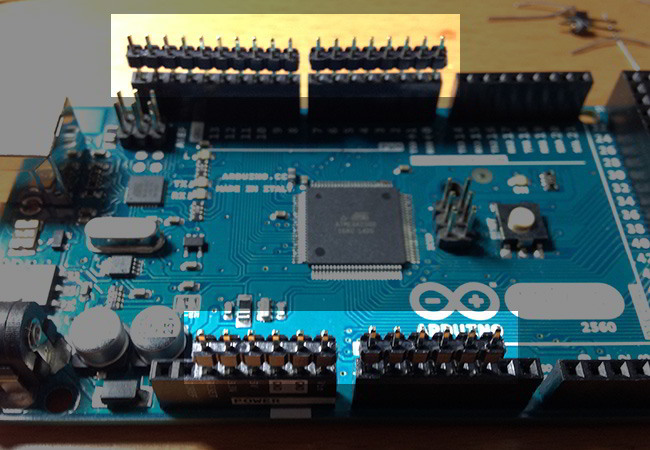 At this point you could add risers to the header pins for stacking other devices if you want. Next we’ll cover how to put some text on the screen. This code should be really straightforward. You can check to see if a button is pressed in the loop, and create code based on it. So let’s do something with that. This is pretty straightforward stuff, not that we set “pinMode” to 53,OUTPUT. 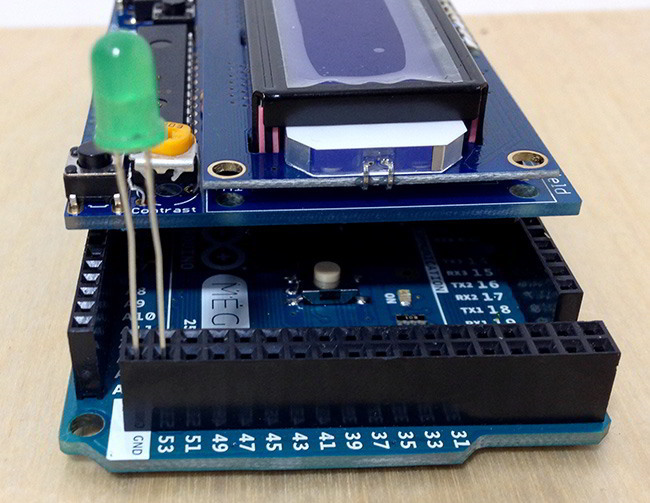 This is how we set up the pin to light up the LED with the digitalWrite function. By setting pin 53 to HIGH it powers it, and setting it to LOW stops it. The LCD screen then prints the status. Overall I think this product is a fantastic value. I’ve just barely scratched the surface of what can be done here, and it’s only $19.95. 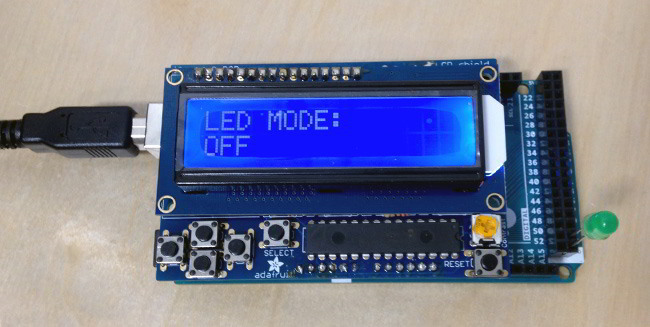 It could be a very valuable display for your projects. It’s easy to assemble and works great. 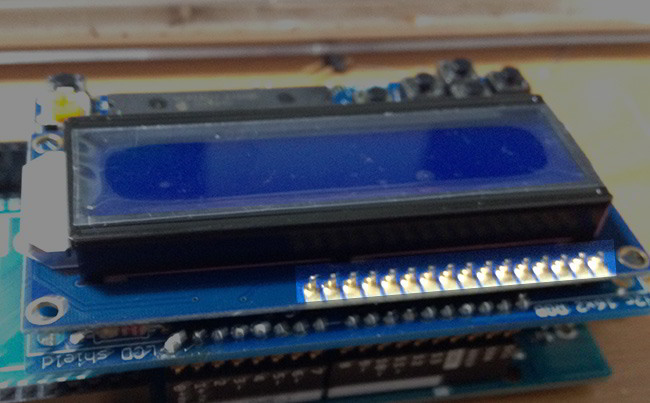 So pick up an Arduino (I really like the Mega 2650) and an LCD shield and start tinkering! Contact me with any cool projects you create!